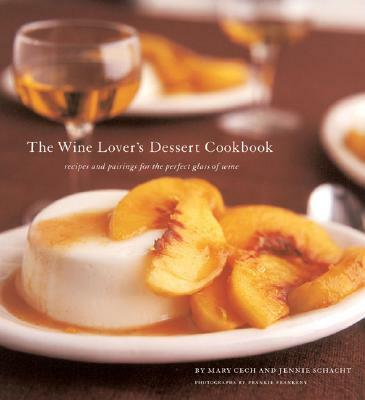 This gorgeous book is actually two in one: page after page of recipes for fabulous desserts combined with all the information anyone will need on choosing a dessert wine. Peach Tarte Tatin with an intensely flavored ice wine brings out the fruit's summery spirit in this French favorite. A full-bodied vintage port with berry flavors provides the perfect foil to an amazingly decadent Chocolate Souffl Roulade for a little piece of heaven. A user-friendly chart cross-references wine types against typical dessert flavors for quick and easy matching advice. Add to that mouthwatering photographs of the recipes and anyone can discover a whole new world of sweet wines and the desserts that love them. Jennie Schacht is a culinary writer and consultant who has worked with Michael Chiarello and Napa-based "wedding cake baker to the stars" Sam Godfrey of Perfect Endings. She lives in the San Francisco Bay Area. Mary Cech is an award-winning pastry chef and pastry arts instructor. She was twice heralded as one of the "Top Ten Pastry Chefs in America" by Chocolatier magazine. Her recipes have been featured in many cookbooks and magazines. She lives in Santa Fe, New Mexico. Frankie Frankeny is a San Francisco based photographer whose work has appeared in more than 20 Chronicle books.